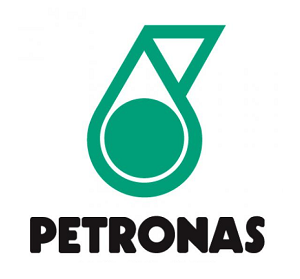 PETRONAS established in 1974, is Malaysia’s fully integrated oil and gas multinational ranked among the largest corporations on FORTUNE Global 500®. The growing demand for energy inspires and strengthens our purpose to steadily drive for new solutions and push boundaries towards a sustainable energy future. We apply innovative approaches to technology which helps us unlock and maximize energy sources from even the most remote and difficult environments. Our fully integrated value chain spans from exploration to marketing, logistics to technological infrastructures, with operations in over 50 countries around the world. Throughout our rapidly expanding network and steady growth trajectory, PETRONAS has consistently and successfully implemented various social, environmental and community programs, guided by its larger Corporate Sustainability Framework, in carrying out business in a socially responsible and holistic manner for the benefit of both the present and future generations. This position is responsible for maintaining data center equipment and its supporting equipment. Responsible for maintaining servers, storage, networks, and related equipment. Please note that applications may not be reviewed if received after 21 September 2017. Only short listed candidates will be notified. Fraud warning! Petronas Carigali Indonesia and its affiliates DO NOT charge candidates fees or request payments of any kind at any point during the recruiting and onboarding process. Thanks for reading Petronas Carigali Indonesia Jobs: IT Infrastructure Engineer. Please share...!